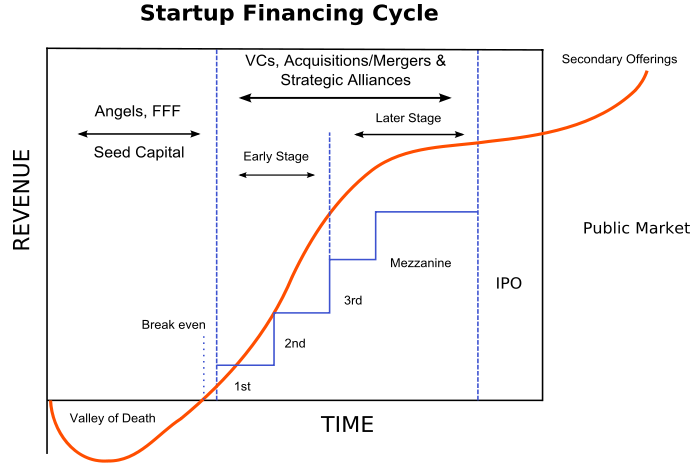 Startup Iceland - Building a vibrant, sustainable and antifragile entrepreneurial ecosystem in Iceland - Valuation of a startup – the holy grail? Valuation of a startup – the holy grail? I have been getting a lot of questions related to How does one value Startups. The best reference for valuation goes all the way to Warren Buffet‘s teacher Benjamin Graham and his classic book Security Analysis, I believe the principles taught in those books are timeless ie. they don’t fundamentally change what does change is our perception of value. More recently, Aswath Damodaran‘s work on Valuation is quite impressive and it is used by many professionals. He actually has most of his work available online. Value is such a fluid word, what is valuable to a startup when it is getting out of the door is not as valuable when it is looking into the abyss of the valley of death. I have written about the challenges in valuing startups and the uncertainty that always stares at you when you want to do this exercise. I personally think this is the reason Banks or Warren Buffet do not want to even look at startups because they don’t understand the challenges of running a company that is creating value in an uncertain market climate. In some cases they actually create a market, it hard to calculate the size, market penetration etc. AVC.com : The Present Value of Future Cash Flows To all those Python hackers out there here is a link to code that was shared with everyone on this post by Chris Dixon. The code actually simulates equity payout values with anti-dilution preference etc, I have gone back to my roots of looking at code to learn a concept. I don’t prescribe it to everyone but works for me. If you have Python installed give it a twirl, I love this way of looking at valuation. Considering the above 4 posts and the links they refer to and using the basis of valuing any asset from the classic method one can develop a model. We have developed that model, no it is not in a shape that I can share, when I have time will make it available in this blog.